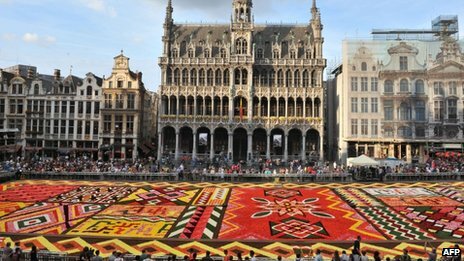 Every two years a flower carpet is created in Brussels. This year the inspiration was Africa. The splendor of over 600,000 flowers. So fabulous! Via bbc.